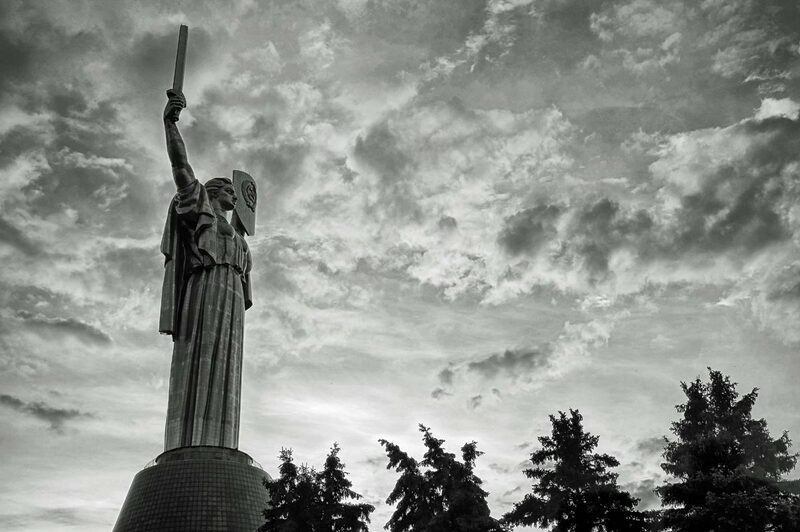 The Motherland Monument is a monumental statue in Kiev, the capital of Ukraine. The sculpture is a part of the Museum of The History of Ukraine in World War II, Kiev. The stainless steel statue stands 62 m (203 ft) tall upon the museum building with the overall structure measuring 102 m (335 ft) and weighing 560 tons.